Adam Peaty says he has really enjoyed the 2016 Rio Olympics, but has confessed he is missing his home under the sea, where his mermaid girlfriend lives with his mermen kin and pet seahorses. Despite being the only citizen of the island nation called the United Kingdom to win a swimming gold medal in thirty years, Peaty is also a dual citizen of the town called Bikini Bottom, located around a pineapple under the sea. Peaty, 21 in human years but 105 in fish years, told reporters he had heard his people in Bikini Bottom calling him home through vibrational frequencies only merfolk and dolphins can perceive. 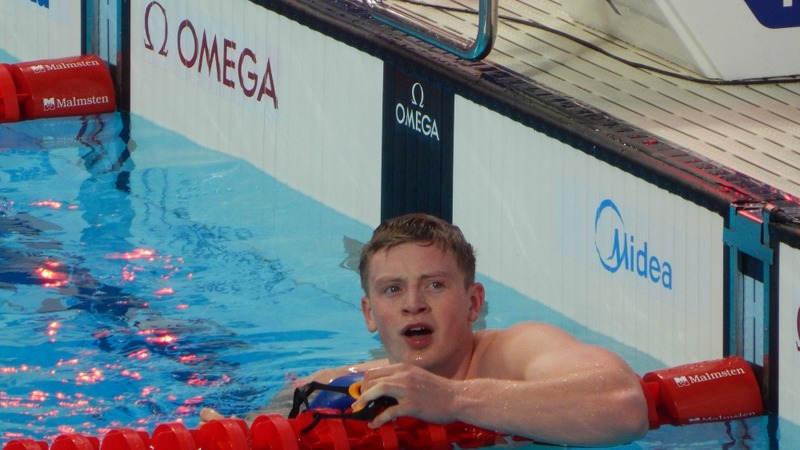 The breaststroke 100m gold medallist was congratulated by the assembled press on his achievement in smashing the world record, but Peaty was quick to point out it was “only the land record”. He insisted that the true contest was still to come, as the shortfin mako shark – the fastest shark on the planet – is due to visit Bikini Bottom at the end of September, where it will attempt to devour Peaty and all of his family and friends. Nonetheless, the young mythical being’s achievements in Rio have seen experts call him “Salmon else”, “The best, without a trout”, “set to become a cod-like figure in this sport”, and “around 50% fish”. His impact on swimming has already led to Hollywood buying the rights to his semi-aquatic life for an upcoming biopic, who have swiftly snapped up Channing Tatum for the role.